It is hard to imagine how difficult it would be for a child to lose all or part of a limb. At the Carrie Tingley Hospital Foundation, our goal is to help bring any small amount of relief that we can to any child at Carrie Tingley Hospital who is faced with this situation. How do we do this? With Dolls of course! When children at Carrie Tingley Hospital have a partial or full limb amputation, the staff of the Child-Life Room and the Carrie Tingley Hospital Foundation team – up to give these kids a very special gift. 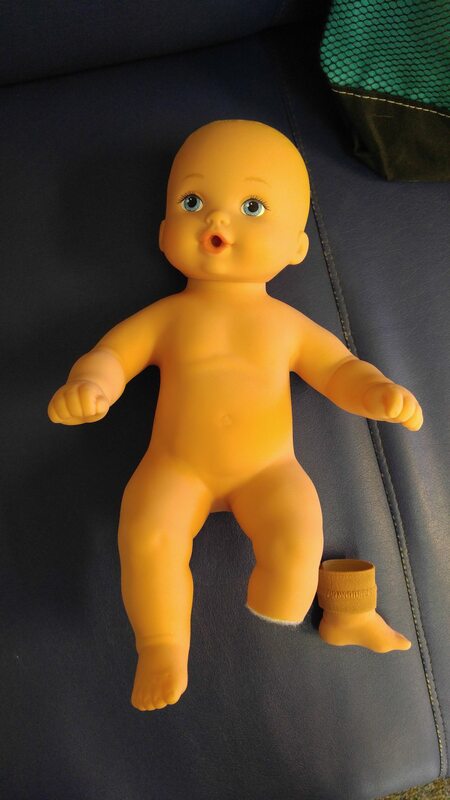 The Carrie Tingley Hospital Foundation provides funding for dolls, and the Child-Life Staff modify the dolls to resemble the child who recently had an amputation. The Carrie Tingley Hospital Child Life Staff shared with us that the dolls boost self-confidence, self-esteem, and give a feeling of inclusion to the children. It gives them the sense that something as small as a doll that resembles them can have profound meaning to their mental and physical well-being. The Foundation recently purchased three dolls in July of 2016 and the Carrie Tingley Hospital Child Life Staff told us that the dolls really do make a difference with these special kiddos. If you or someone you know would like to donate or volunteer with the Carrie Tingley Hospital Foundation and help improve the quality of life for a child, please contact us at 505-243-6626 or email us at info@cthf.org .